A lot of people seem to have really missed the Foo Fighters during their three year absence between albums. 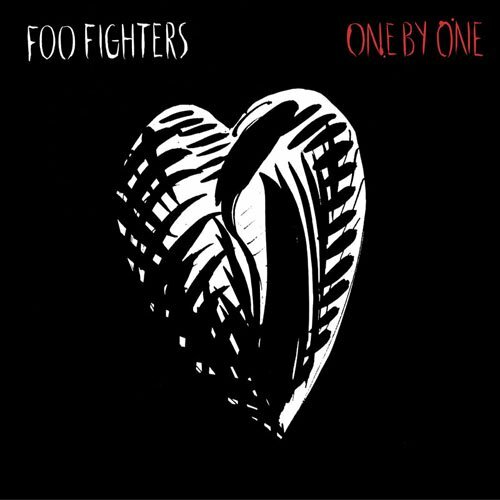 At least that’s what I think, because the rave reviews that I’m reading for this album don’t seem justified, as more and more I’m starting to think of the Foo Fighters as a great singles band who merely make good (sometimes very good) albums. Truth is, when I hear a Foo Fighters song on the radio chances are good that I’ll turn it up and sing along, but by the ninth or tenth Foo Fighters song in a row I have a hard time staying enthused. This album stands out due to its return to a grungier sound, and by the fact that it is more atmospheric and less poppy than past efforts. There are some notable highlights as well, as “Low” is a dead ringer for Queens of the Stone Agoe (whose last album and tour Grohl had played drums on, Songs For The Deaf), only with Grohl singing. I think Josh Homme taught him a thing or two about playing guitar, too, because Grohl also unleashes cool riffs on “Have It All” and “Times Like These” (which also has the album’s best lyrics and vocals), while “All My Life” has an agreeably hard-hitting chorus and “Halo” is impressively epic. Actually, there really isn’t a bad song in the bunch, but though I generally enjoy listening to these songs I’ll be damned if I can remember more than bits and pieces of most of them afterwards. “Come Back,” an explosive and evocative epic (7:45) that ends the album with an exclamation point, is an adventurous exception. This entry was posted on Monday, April 11th, 2011 at 11:22 PM	and tagged with DaveGrohl, Foo Fighters, Josh Homme, Krist Novoselic, Music, Nirvana, Queens of the Stone Age, Times Like These and posted in Foo Fighters, Music Albums Reviews. You can follow any responses to this entry through the RSS 2.0 feed.